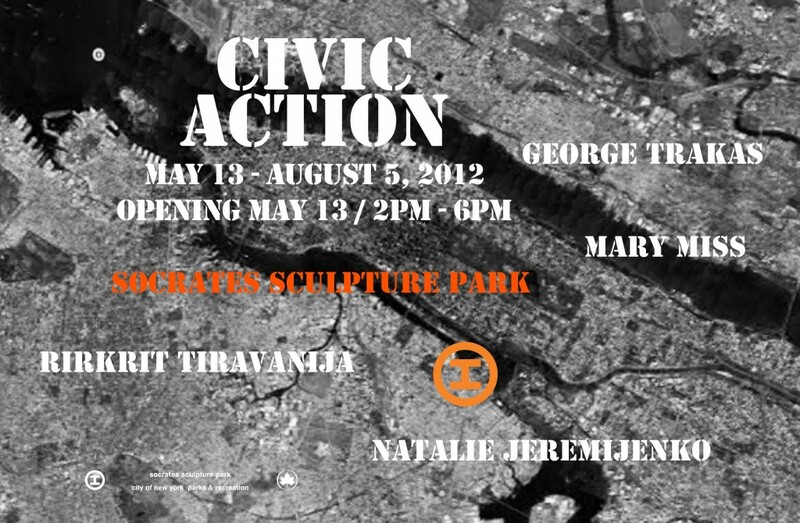 Civic Action is the second half of a two-part exhibition with The Noguchi Museum and is curated by Amy Smith-Stewart. 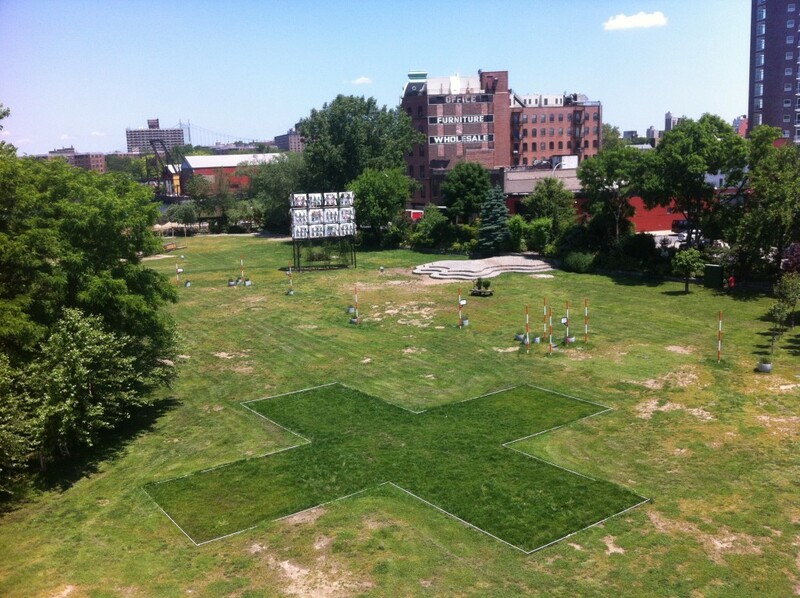 The artists were asked to proffer alternative visions and an imaginative future for the northern industrial stretch of Long Island City, Queens that encompasses both organizations ­ Socrates and Noguchi. In 2011, each artist formed a team (listed below) comprised of architects, urban planners, writers, historians, and other consultants to re-imagine the area in response to increasing residential development, rezoning, and ecological threats. Now at Socrates, their ideas, which address accessibility, sustainability, community building, and urban environment, will be realized through sculpture, site-specific installations, earthworks and participatory, social activities. On Saturday, May 12 (12-4pm), families, community members, and educators are invited to attend Civic Action Lab: Blog in Action, to try six art projects selected from teacher-submissions to our Civic Action in the Classroom blog. Kite Flight on May 19 (11am-2pm), artist Natalie Jeremijenko will demonstrate kite-mapping, a low cost, easy to use method for creating maps and aerial images on demand. LIC Bike Parade on Saturday, June 9 (11am-3pm), artist Natalie Jeremijenko will display Newsmotion (NM) Bike Messengers, an LED wheel display for bicycles that visually broadcasts who, where, how, and why news is produced. Summer Solstice Celebration on Wednesday, June 20 (5pm-dusk), participants can sneak in a full body workout and help keep Socrates green with artist Natalie Jeremijenko’s X Fitness Hula Hoops. 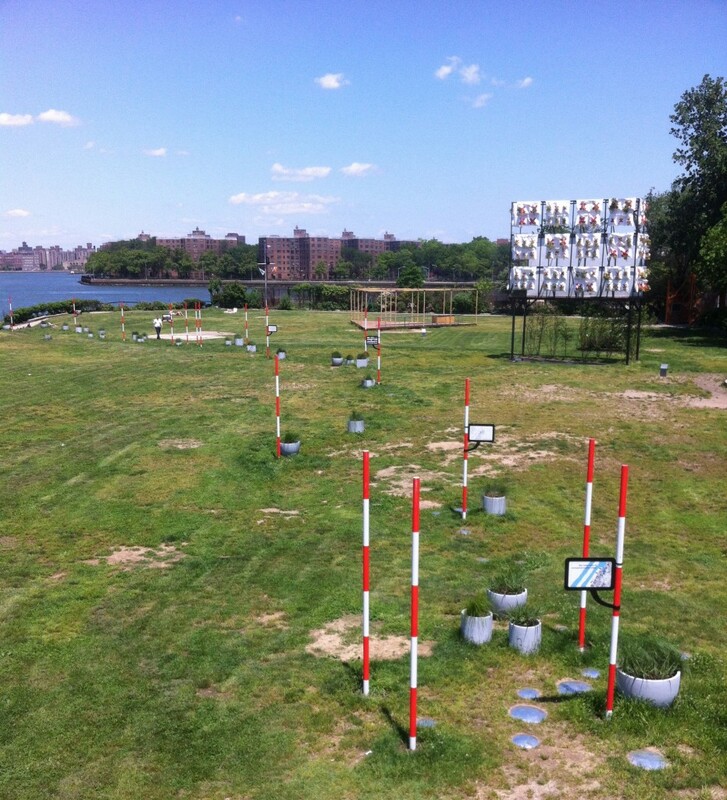 Delicious food from local restaurants will be served in artist Rirkrit Tiravanija’s outdoor installation. Outdoor Cinema on Wednesday evenings, July 4 through August 22 (7pm), films will be coupled with regional cuisine served out of artist Rirkrit Tiravanija’s outdoor installation. On Saturdays from June 23 to August 4, vendors from the Park’s GrowNYC Greenmarket will offer free demonstrations in Rirkrit Tiravanija’s outdoor installation. Civic Action: A Vision for Long Island City at Socrates Sculpture Park is generously supported, in part, by The Lily Auchincloss Foundation, Bloomberg Philanthropies, Mark di Suvero, Ford Foundation, Agnes Gund, Lambent Foundation Fund of Tides Foundation, National Endowment for the Arts, Plant Specialists, Robert Rauschenberg Foundation, Spacetime C.C, and The Thomas W. Smith Foundation. This program is also supported, in part from the New York State Council on the Arts, a state agency, and by public funds from the New York City Department of Cultural Affairs. Special thanks to the City of New York, Mayor Michael R. Bloomberg, Queens Borough President Helen M. Marshall, City Council Speaker Christine C. Quinn, Assemblywoman Catherine Nolan, City Councilmembers Jimmy. Van Bramer and Peter F. Vallone Jr., and the Department of Parks & Recreation, Commissioner Adrian Benepe.